Four seasons, forty episodes. That’s all this fine series, helmed by Christopher Cantwell and Christopher C. Rogers, needed to tell its story about smart people and their dreams. That two of those smart people are women, makes Halt and Catch Fire a riveting chronicle of the lives of working women in the recent past. The story stretches from the early 1980s into the 1990s, documenting the rise of the personal computing industry and providing a glimpse of what it was like to be a woman working in that field. Cameron Howe (played by Mackenzie Davis) is the brilliant programmer, lured away from college to help launch risky new projects. Donna Clark (played by Kerry Bishé) is a computer engineer bored with her job at Texas Instruments. She and her husband Gordon (Scoot McNairy), also an engineer, had tried and failed to build their own PC, but Gordon hasn’t given up. Joe MacMillan (Lee Pace) is the brash young entrepreneur who brings them all together. Four main characters: two male, two female. 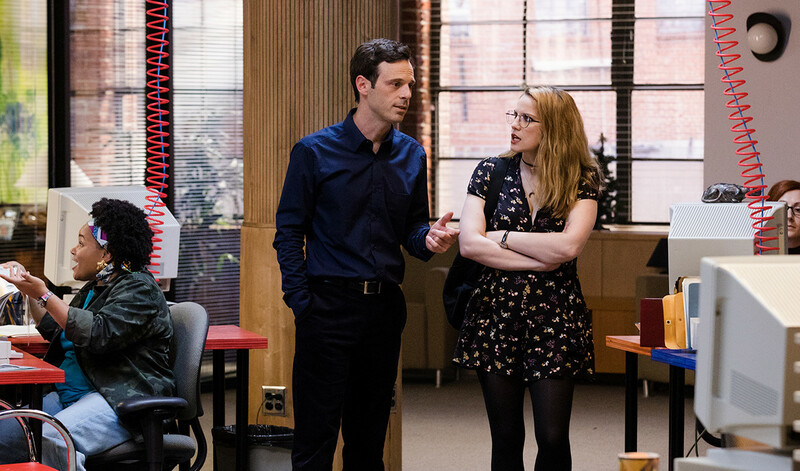 The key to Halt and Catch Fire‘s success was the relationship between Cameron and Donna, two strong women intelligent in different ways. They accomplish great things individually; together they are like a supernova. The writers didn’t relegate them to supporting characters. Cameron and Donna had personal lives every bit as complicated as their professional lives. They weren’t on screen simply as love interests or to prop up the male leads. At its core, this is a brainy series. During the fourth season, Cameron finishes a new computer game, something unique and personal. She is bemused by the negative responses from beta testers who simply don’t get it. They want games with bright graphics and fast-moving parts that allow them to shoot and blow up things. Cameron has created a masterpiece for people who are challenged by thinking. She knows the audience she wants to reach. And so did the creators of Halt and Catch Fire. David loved this series. Thought it was very well done.